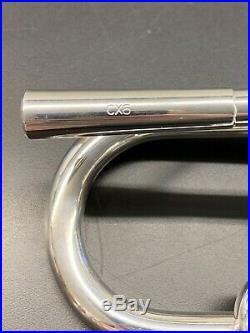 Schilke CX6 Large Bore C Trumpet Very Rare Model! 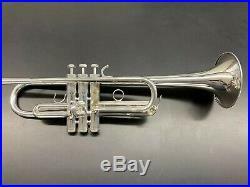 It is a great condition Trumpet from the late 70s. It is one of only 3 of this model ever built!! 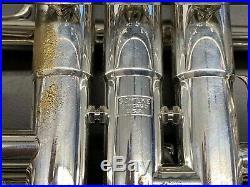 It has an xl bore and the large B size bell, very similar to a Bach 229. Very open playing c trumpet. Had a valve alignment by Charlie Melk. 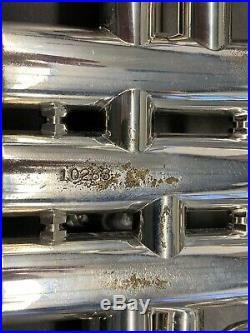 Some plating wear at the contact points. This is one of the best C trumpets Ive ever played. 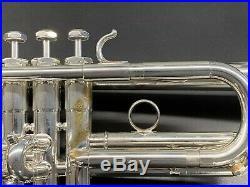 The item “Schilke CX6 Large Bore C Trumpet Very Rare Model” is in sale since Wednesday, April 10, 2019. This item is in the category “Musical Instruments & Gear\Brass\Trumpets”. 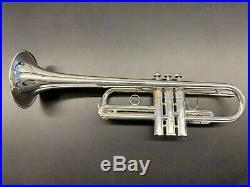 The seller is “trumpetnate” and is located in Cincinnati, Ohio. This item can be shipped worldwide.